Last Week Tonight’s John Oliver isn’t someone to mince words, and after the incident involving the alleged kidnapping and murder of Saudi journalist Jamal Khashoggi was brought to light last week, the Crown Prince and the Saudi Government have found themselves in the eye of the storm. CNN also reported that most of the news outlets that agreed to cover a high-profile business conference in Saudi Arabia have pulled out following the revelation, and John Oliver, in the most recent episode of HBO’s Last Week Tonight put WWE on blast for their hesitancy in doing the same. 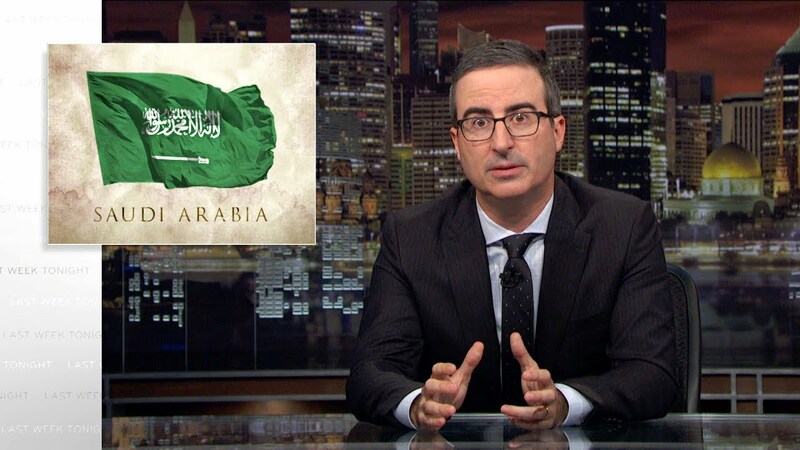 John Oliver, while discussing the Crown Prince’s PR push to attract businesses and change the world’s perception of Saudi Arabia, mentioned the working relationship between Saudi Arabia and the WWE. “They held their first of many events there back in April”, Oliver stated before continuing, “And audiences around the world were treated to wall-to-wall propaganda about the new Saudi Arabia, including a video showing women happily driving, men dancing, and tourist destination beauty shots, as well as constant excited announcements throughout the broadcast. You can see the whole video by clicking here. Video contains foul language.